We are proud to provide commercial dry cleaning and commercial wash and fold services for businesses and workplaces throughout the Harrisburg area. Additionally, we provide commercial repairs and alterations. We have many doctors, nursing classes, and police departments who utilize our professional repair services for items such as logo patches and name badges. Our commercial pickup and delivery service is perfect for medical offices such as: Dermatology, Cosmetic Surgery, General Practice, Radiology, and Sleep Clinics. Many local massage studios, wellness centers, hair salons, day spas, janitorial companies, and imaging centers find our commercial wash and fold laundry service to be the perfect solution for their ongoing laundry needs. With our folding and packaging standards, you can expect a consistent product with each order. Our citrus-based detergent is excellent at removing oil-based stains, and leaves your items scent-free upon completion. 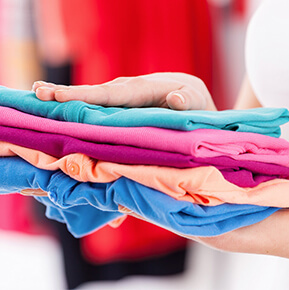 Our Wash and Fold Laundry Service is priced by the pound, at a rate of $1.48/lb. All of our services above are eligible for our free pick up and delivery. With twice-a-week service, monthly billing, and itemized statements, using our service is easy and hassle-free. All of our employees are background checked for secured businesses and facilities. Would you like to offer free pick up and delivery service for your team? If you have interested employees who would utilize our dry cleaning for business attire on a weekly basis, we’d love to talk to you. 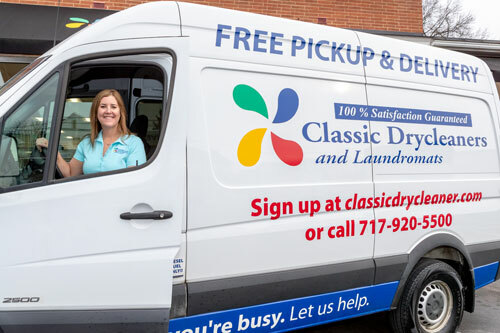 Get dry cleaning services for your business by contacting our Pickup and Delivery Team for information.